Why make this cake? It's incredibly easy to make, despite looking ultra impressive on the plate. It requires only 10 ingredients from start to finish, it's super kid-friendly. It can be made in advance (for my test run, I kept the cake covered in the fridge for four days and it still tasted great. If you’re looking for something that goes beyond a melty tub of Ben and Jerry’s, these easy no-bake desserts for summer are delicious, simple and sweat-free. 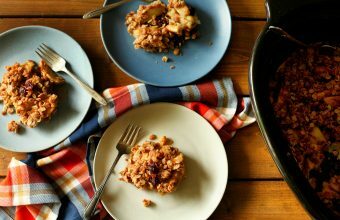 Making an apple crisp in the slow cooker couldn’t be easier. Just toss the filling ingredients together directly in the slow cooker, sprinkle with a spiced oat topping and cook. Here's our favourite recipe. This semi-sweet treat is a nutritional powerhouse and perfect for portioning out to toddlers in search of a snack. These custards start with an easy caramel sauce and are finishes off with a short bath on the counter in a slow cooker. The addition of salt makes them feel more upscale, a guaranteed way to let your guests think you're a fancy-pants gourmet.